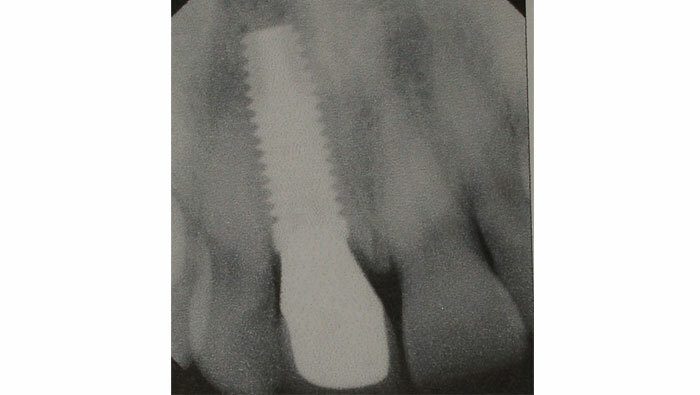 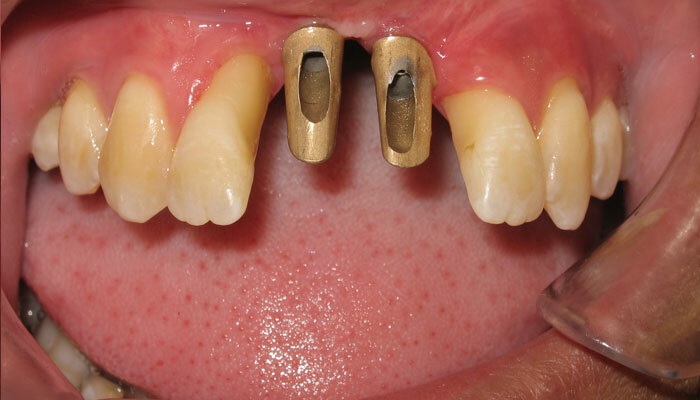 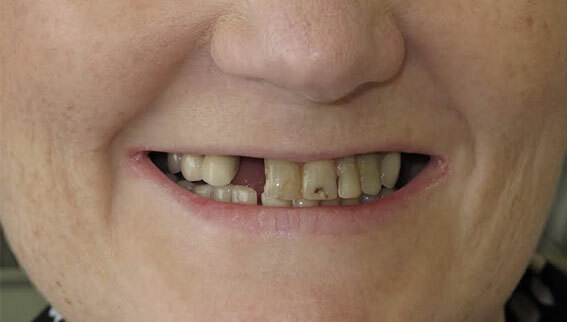 Case 2 Trauma and lost front teeth, replaced by implants. 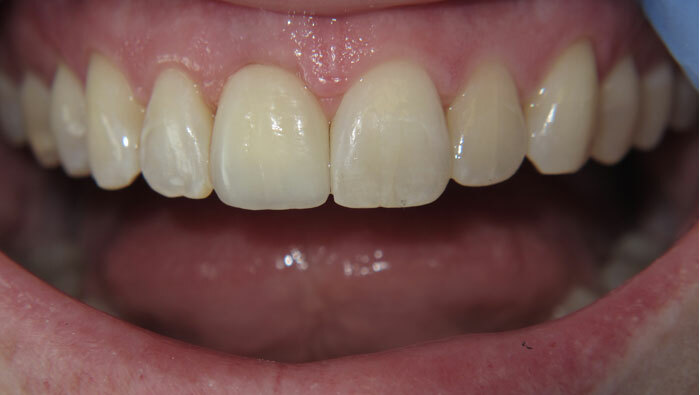 Case 2 Before- Trauma patient, with highly specialized porcelain blocking out defect. 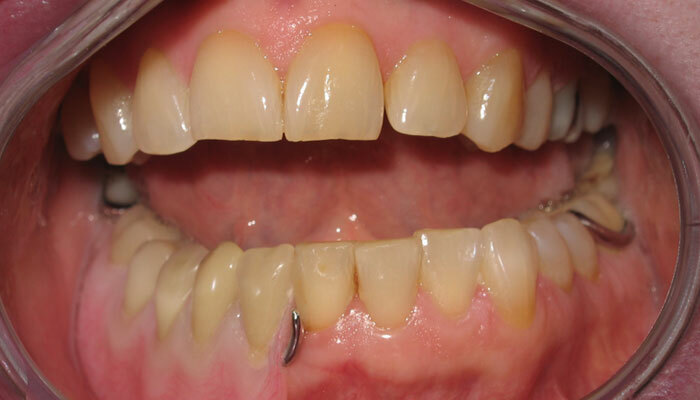 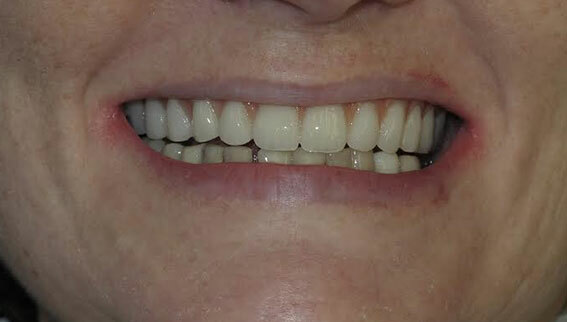 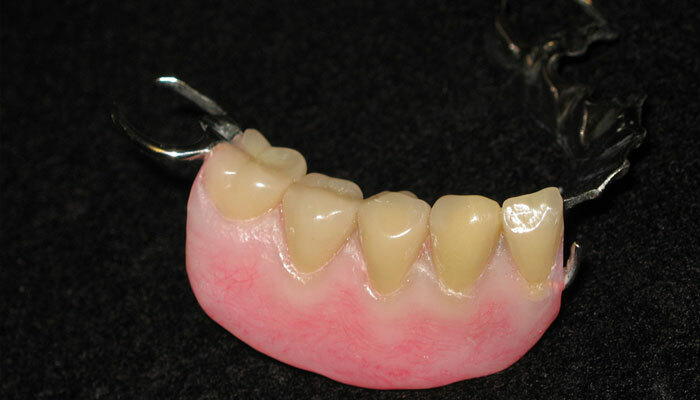 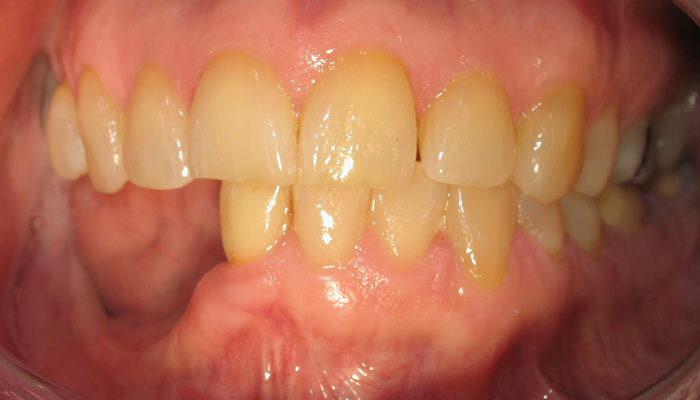 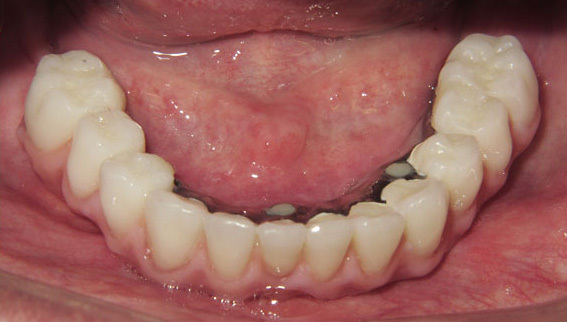 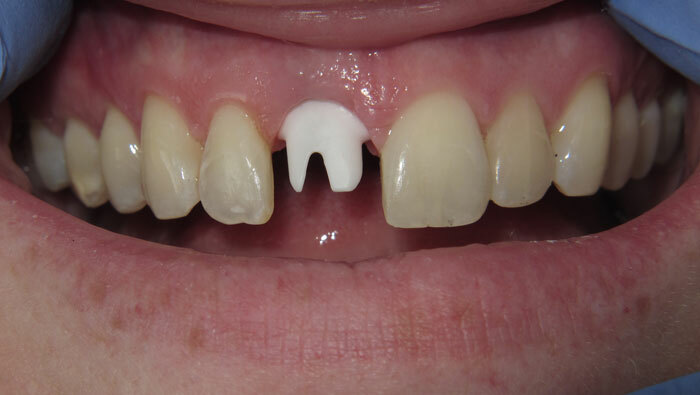 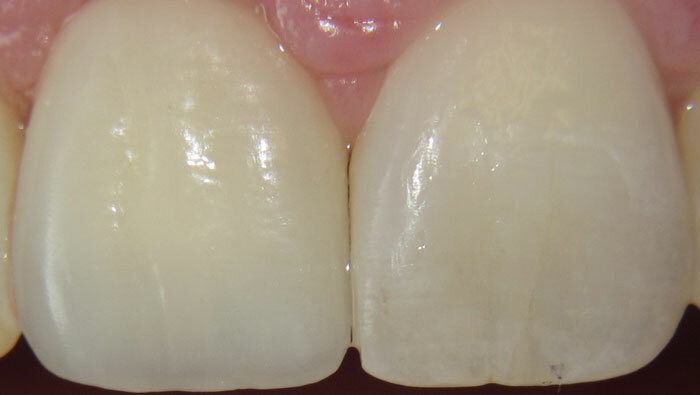 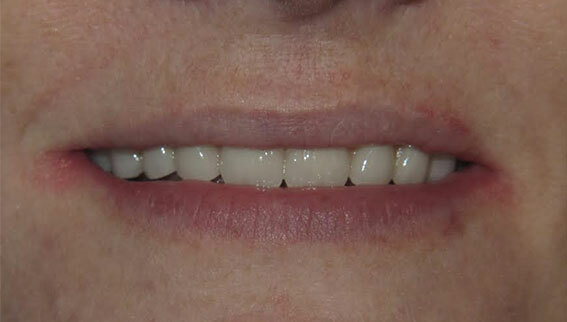 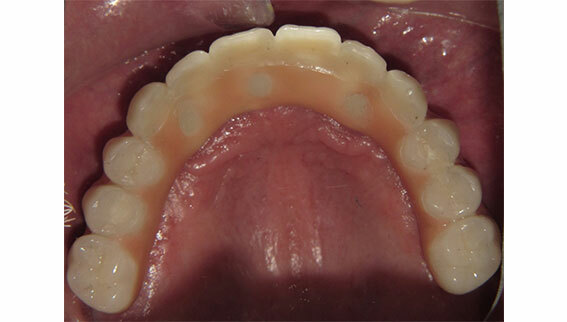 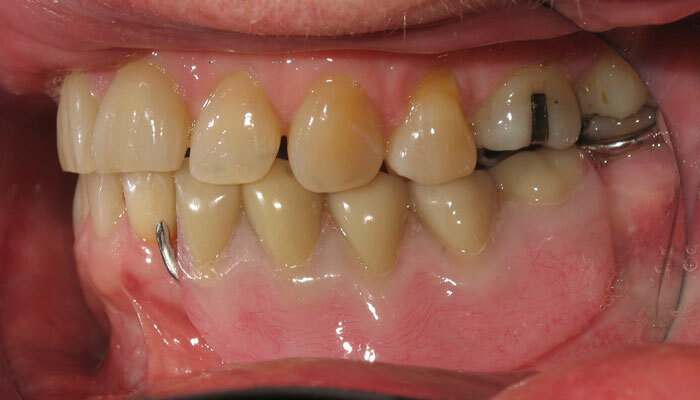 After – Trauma patient, high quality porcelain crowns replicating the lost tooth and gum structure.